Her second novel, The Tiger Rising, went on to become a National Book Award Finalist. Since then, the master storyteller has written for a wide range of ages. She is the author of six books in the Mercy Watson series of early chapter books, which stars a “porcine wonder” with an obsession for buttered toast. The second book in the series, Mercy Watson Goes for a Ride, was named a Theodor Seuss Geisel Honor Book by the American Library Association in 2007. She is also the co-author of the Bink and Gollie series, which celebrates the tall and short of a marvelous friendship. The first book, Bink &amp; Gollie, was awarded the Theodor Seuss Giesel Award in 2011. She also wrote a luminous holiday picture book, Great Joy. Her novel Flora &amp; Ulysses: The Illuminated Adventures won the 2014 Newbery Medal. It was released in fall 2013 to great acclaim, including five starred reviews, and was an instant New York Times bestseller. Flora &amp; Ulysses is a laugh-out-loud story filled with eccentric, endearing characters and featuring an exciting new format—a novel interspersed with comic-style graphic sequences and full-page illustrations, all rendered in black and white by up-and-coming artist K. G. Campbell. It was a 2013 Parents’ Choice Gold Award Winner and was chosen by Amazon, Publishers Weekly, Kirkus Reviews, and Common Sense Media as a Best Book of the Year. 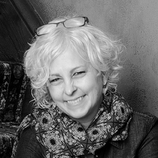 Kate DiCamillo, who was named National Ambassador for Young People’s Literature for 2014–2015, says about stories, “When we read together, we connect. Together, we see the world. Together, we see one another.” Born in Philadelphia, the author lives in Minneapolis, where she faithfully writes two pages a day, five days a week.